Good evening, viewers! I wanted to focus a post on some helpful study guides and tips that could better your study habits! I’ve found a few very helpful Mathematic study programs online, as well as a great Youtube channel that helps explain mathematical concepts more in depth. I hope these prove to be useful! 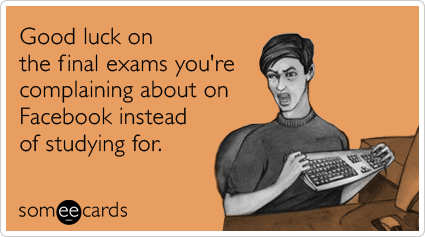 Oh, and here’s a finals-related e-card to wish you all the best of luck!